Community Alerts/David/Vaal- Gauteng Province/11 October 2016. 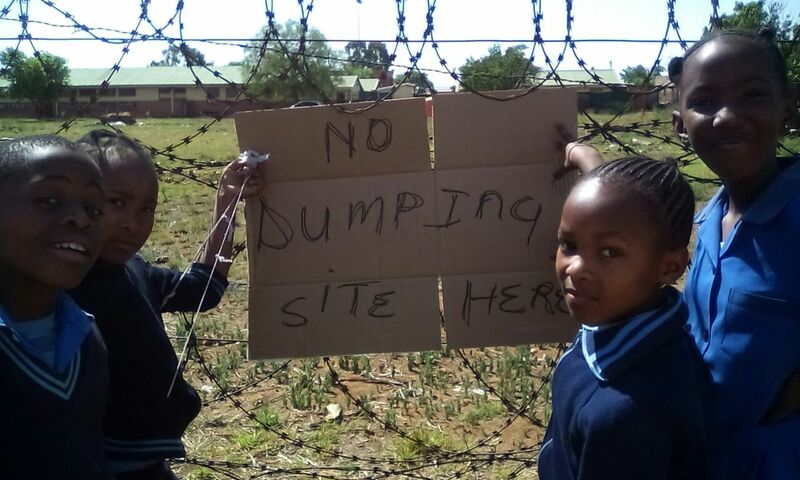 These two schools share a very rich history of Vaal in sport and politics but again sharing a big problem, between the two schools exist an illegal dumping site. Very harmfully and it smells very bad. One teacher said” you can’t have peaceful lunch because of the smell when it is windy. The smell kills us almost every day. We all know that Arcelor mittal and his friends they are big polluters. How can a normal person take rubbish dump next to a school gate? This is why I realize that we should practice the sections 24(a) of bill of rights and we need environment that is protected by us before someone can do it for ourselves” she said. In this regard, we challenged the local municipality to take responsibility in this matter, and people should be reminded that illegal dumping is a crime. We need an environment that is not harmful to anyone and people need to understand that in our communities. Let’s change how people think” said the frustrated educator.